Logan Poteet just doesn't enjoy the company of his fellow harriers....at least not on the XC course as he once again motored steadily away winning unchallenged in a solid time of 15:43. 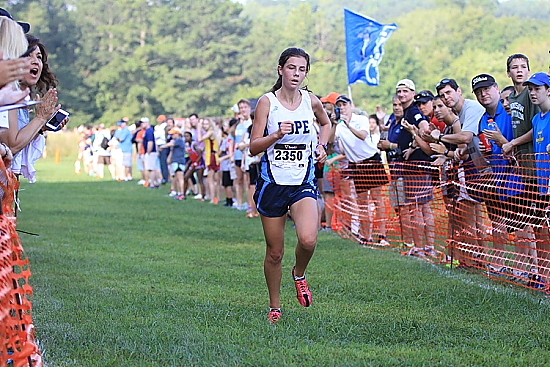 Marietta's Boys again dominated another race destroying ther field as they scored 47 points as their top 5 finished in the first 14 positions Saturday. 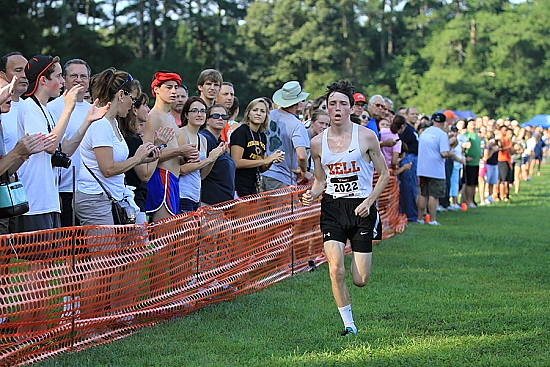 Leading the Devils attack were Khayvonn Benson in 4th (16:22) and Ben Patterson in 5th (16:31) North Cobb may have had their highest team finish in recent history seizing 2nd place as a team besting Walton by 7 points. Stephan Gardener's 8th place effort led the way for the Warriors. Mitchell Sanders continued to run well taking 2nd overall for Walton in 16:12 while teamate Andrew Singh chipped in placing 6th (16:34) Last week's 5A ROW Colton Page from Allatoona had a nice race placing 3rd overall in 16:21.